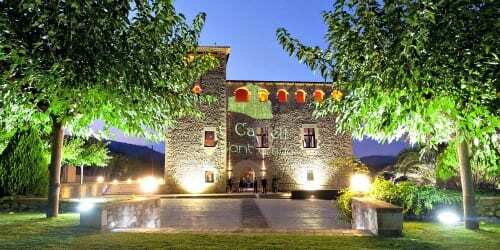 The official TBEX Europe conference events kick off on Thursday night, September 20th, with an opening night party at Castell de Sant Gregori (Castle of St. Gregory). What’s a castle without a whole lot of history to go along with it? The Caste of St Gregory dates back to the 12th century and was patterned after the noble town houses of the time. It was much bigger and more opulent that other houses in the area and served as one of the largest forts in the town. In the 14th century, the fort passed to the influential Margarit family, and then to the Marqis de Valderas of Madrid, before lying uninhabited and in deteriorating condition. In the 1990s, attempts were made to turn the castle into a hotel, but money was in too short of supply to make that happen. Finally, in 1999, the castle was acquired by another Girona area family with the intention of restoring it to its former condition. 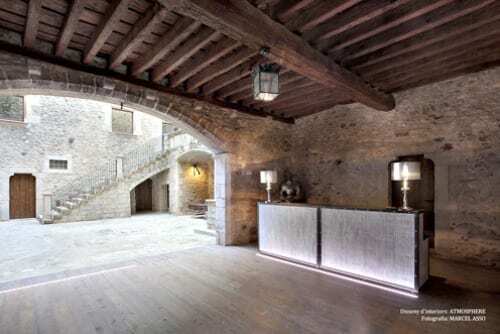 Today the castle has a central courtyard that surrounds seven rooms and a lobby. The reconstruction efforts have respected the original architecture and appearance along with its historical legacy. Best of all – YOU get to check out Castle of St. Gregory for yourself If you’re registered for TBEX and attending, that is. Date & Time: Thursday, September 20th, 2012 starting at 8 pm. The Food: Tapas featured specialty dishes from the region. The Drink: Local wines from the regions. (Some of you will have visited these wineries on your excursion or will be visiting on your blog trip.) Also pouring local ales and beers. The Entertainment: Local traditions, music, and some surprises. And no, we’re not going to give away all the surprises! The opening night festivities are brought to you by the Costa Brava Girona Tourism Board, Diputació de Girona and the Catalan Tourist Board. 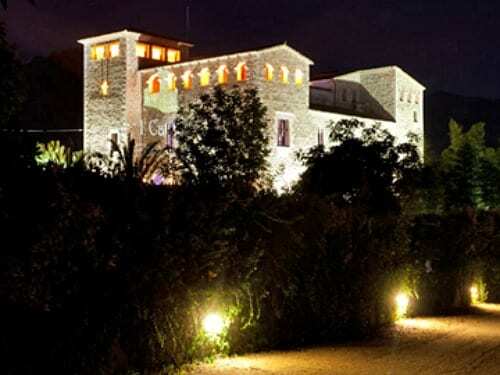 The Opening Night TBEX Party at the Castle is open to registered attendees only. So for heaven’s sake, head on over to register. Who’s excited to party at the castle? UPDATED: More information about transportation to the castle can be found here. Guess that answers my question about packing nice clothes too. 🙂 Do we need to RSVP somewhere? Our hosts haven’t indicated that they need an RSVP, but we’ll let you know if that changes. Just come and have a great time. Yes! Another get together with my two favorite ladies. Yei!! I can’t wait to join you there!! What is this I hear about drinking Spanish wine?! Wow. I get more excited with each new announcement. Can’t wait to storm that castle. A totally different meaning to that expression, huh? Just a little over 5 weeks till we’ll be there. Love castles!! Will there be patatas bravas? It’s been a tough taste testing competition for me so far! Looking forward to meeting you Trish! Any other early arrivers want to meet for a drink in advance? I arrive on the 19th. Getting so excited for my trip to Costa Brava, I know they are going to raise the bar even further than Keystone did! This is super cool 🙂 Cannot wait! So looking forward to my first TBEX – Costa Brava is a fab location. Can´t wait to say Hi to you all. The castle looks spectacular! We’ll be kings and queens for a day. Looking forward to meeting you all there. Sounds like a fun evening. Will there be a dress code?